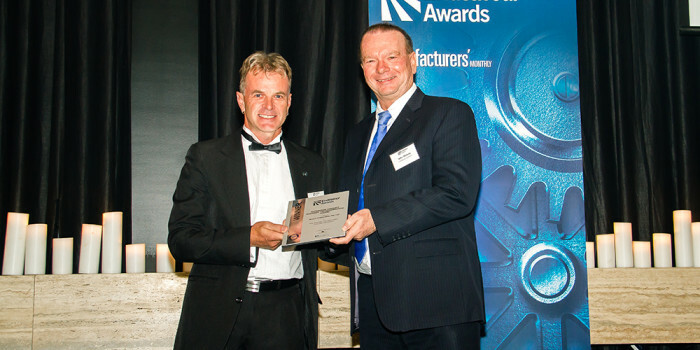 South Australian based manufacturer, Smart Fabrication has beaten 40 other manufacturing companies nationwide to win the Manufacturers’ Monthly award for Business Transformation. 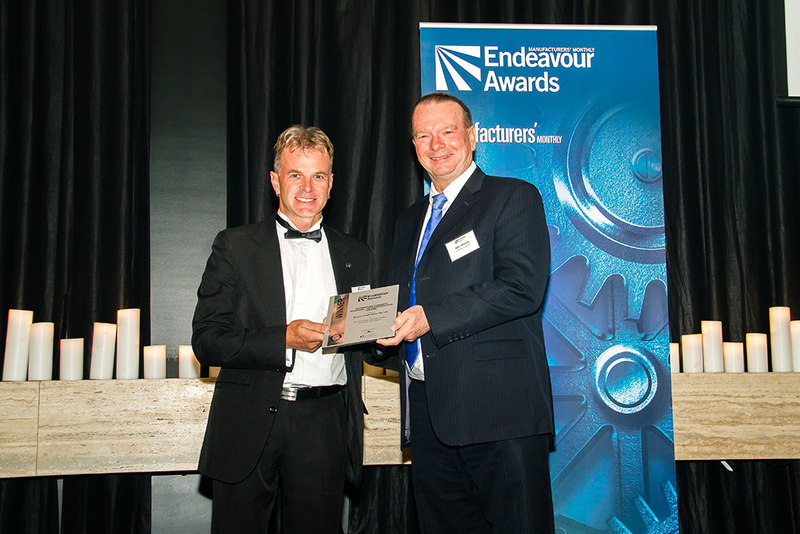 The award, sponsored by Enterprise Connect was announced at the Manufacturers’ Monthly Endeavour Awards 2014 Gala Dinner held last night at the Ivy Ballroom in Sydney. The Enterprise Connect Business Transformation Award is designed to recognise an Australian Small to Medium Enterprise (SME) that has successfully transformed, increasing productivity, innovation and competitiveness as a result. In an industry that has had its fair share of tough times in recent years, Smart Fabrication has more than quadrupled its revenues since 2007 and is currently on track for another record year, having recently posted its best quarter in the history of the company off the back of significant growth in the Oil & Gas sector. Smart Fabrication puts its success down to the transformation it has undergone, not just over the last year but since its inception in 1999. “We’re extremely proud to have been selected as the winner of this prestigious award and it’s a testament to the hard work and dedication of each and every one of our employees as well as the many people who have advised us over the years”, said Mr Simon Kennedy, Managing Director of Smart Fabrication. “I’m proud to say that as a guy who failed year 1, repeated and went on to become a welder, we’ve been on a journey of business transformation since day one and this award has recognised that”, said Mr Kennedy. “Our largest challenge has always been business growth. Over the last 15 years business growth has strained the company’s cash flow, its personnel, business systems and processes, technology, infrastructure and even the facilities we’ve operated out of. We’ve grown our foot print from 200sqm in a single shed in Wingfield to approximately 30,000sqm in Port Adelaide where we also have 170m of riverfront access which will provide a major strategic advantage as we set our sights on the offshore Oil & Gas industry”, said Mr Kennedy. Late last year, due to the demand from the Oil & Gas industry Smart Fabrication established another production facility in Kilburn, South Australia, adding a further 15 jobs and 4,500sqm of workshop to its portfolio. This facility has made Smart Fabrication one of only two in South Australia capable of undertaking large scale, large diameter Oil & Gas pipe fabrication and the only one capable of such works which is privately owned. “We’re very proud to now be employing more people in our great state and undertaking more and more large contracts for great South Australian companies like Santos. The future is definitely looking very bright”, said Mr Kennedy.